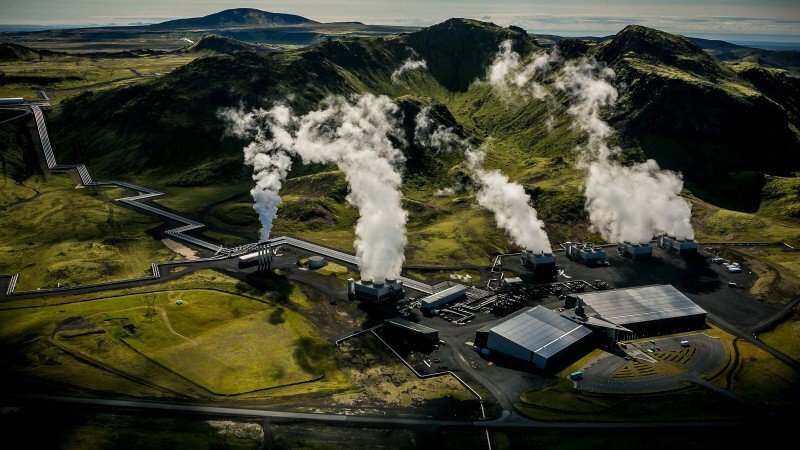 A way of pumping CO2 underground and turning it from a gas into solid carbonate minerals has been demonstrated in Iceland – offering a potentially better method of carbon capture and storage. Scientists have announced a more efficient way of removing man-made carbon dioxide emissions from the atmosphere – turning it into rock. Their study, published in the journal Science, has shown that carbon dioxide (CO2) can be permanently and rapidly locked away from the atmosphere, by injecting it down into volcanic bedrock. The CO2 reacts with the surrounding rock, forming environmentally benign minerals. Measures to tackle the problem of increasing greenhouse gas emissions and resultant climate change are numerous. One approach is Carbon Capture and Storage (CCS), where CO2 is physically removed from the atmosphere and trapped underground. 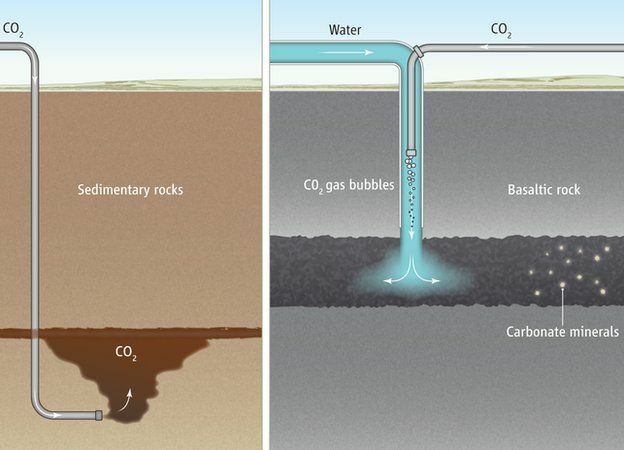 Geoengineers have long explored the possibility of sealing CO2 gas in voids underground, such as in abandoned oil and gas reservoirs, but these are susceptible to leakage. So attention has now turned to the mineralisation of carbon to permanently dispose of CO2. Until now, it was thought that this process would take centuries or millennia, and therefore wasn't a practical option. But the current study – led by the University of Iceland, Columbia University, University of Toulouse and Reykjavik Energy – has demonstrated it can be done in just two years. Lead author, Dr Juerg Matter, Associate Professor of Geoengineering at the University of Southampton, says: "Our results show that between 95 and 98 per cent of the injected CO2 was mineralised over the period of less than two years, which is amazingly fast." "Carbonate minerals do not leak out of the ground – thus, our newly developed method results in permanent and environmentally-friendly storage of CO2 emissions," says Dr Matter, who also works at Columbia University. "On the other hand, basalt is one of the most common rock types on Earth, potentially providing one of the largest CO2 storage capacities." To monitor what was happening underground, the team also injected 'tracers', chemical compounds that literally trace the transport path and reactivity of the CO2. There were eight monitoring wells at the study site, where they could test how the chemical composition of the water had changed. The researchers discovered that by the time the groundwater had migrated to the monitoring wells, the concentration of the tracers – and therefore the CO2 – had diminished, indicating that mineralisation had occurred. "Storing CO2 as carbonate minerals significantly enhances storage security, which should improve public acceptance of Carbon Capture and Storage as a climate change mitigation technology," says Dr Matter. However, it will require huge efforts to be scaled up to the level needed to store the gigatons of gases currently being emitted by human activity. The investigation is part of the CarbFix project, a European Commission and U.S. Department of Energy funded programme to develop ways to store anthropogenic CO2 in basaltic rocks through field, laboratory and modelling studies.